Summary: Sent to live with their grandmother on the coast of British Columbia after their father drowns, Maud and Polly are newly orphaned with secrets between them. It’s 1931 and taking care of one’s family in the midst of the Depression is a daunting task, but after living in poverty with their father, Maud and Polly are suddenly well taken care of with ample educational opportunities. In this new environment Maud flourishes, making friends and developing her own beliefs, while Polly has a great deal of trouble living with the secrets she has been encouraged to keep. When the truth of what actually happened comes out, the sisters will be affected in different ways, and neither will be the same. Review: Just ten years old when her father dies, Polly’s world is turned upside down as she and her sister are moved from Manitoba to British Columbia. The move itself is just a physical representation of her inner turmoil, as Polly’s older sister Maud has encouraged her to forget their father and not to trust anyone with the truth about their father’s death. 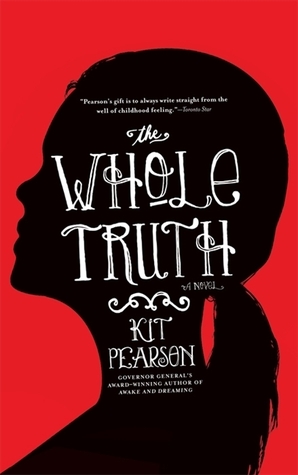 Through a beautifully descriptive story, Kit Pearson details one girl’s growth from childhood adoration of a parent to when the pedestal crumbles and their flawed nature is revealed. For Polly, it’s a tough lesson that takes years for her to learn. When she is told her father was a thief she remains an ardent believer in his innocence until confronted with the surprising truth. Because she’s still a child, it’s hard for her to imagine he could have lied to her, but Pearson contrasts Polly’s experience with Maud’s, whose teenage perspective allows her to question and make up her own mind about their father’s guilt. This story of two sisters coming to terms with the secrets of their lives is set against the backdrop of the Depression in the 1930s. Going from rags to riches, Maud and Polly find themselves on a island in a prosperous household, a sharp contrast to their previous lives. Surrounded by loving relatives, Polly becomes happy where she is while Maud is happy at boarding school. While the choices of their father were shameful at times, it becomes clear he had his daughters’ best interests at heart. I hope to read And Nothing But the Truth, The Whole Truth‘s sequel shortly, because Pearson ends her book with some suspense. After growing so comfortable with her grandmother on the island, will Polly adjust well to boarding school? How will Maud do at university with her dreams of becoming a female lawyer in the 1930s? There is more conflict in the works, and I want to know how things turn out. Pearson’s story is perhaps barely teen, but I think may be appreciated most by adults as it examines the complexity of a child’s changing perspective in authentic way.